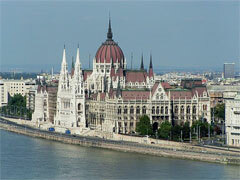 The Institute for Transitional Democracy and International Security (ITDIS) was founded in 2003 as a multidisciplinary public policy institute based in Budapest, Hungary. The Institute’s purpose is to carry out research and public education on the challenges facing transitional democracies. 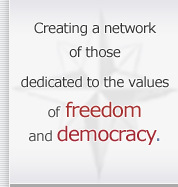 The members and staff of ITDIS are committed to the core values of democracy, rule of law, and free markets. Their mission is predicated on the belief that while many of the post-Communist nations are ostensibly graduates of transition, individual liberties are still under threat, and democratic institutions and practices are being compromised. The Institute brings together experts from around Central and Eastern Europe as well as from Western Europe and the United States in order to further global understanding of these and other challenges faced by countries in transition to democracy. The founders of the Institute are Sebestyén Gorka, an internationally known expert on political violence, national security and defense reform; and Katharine Cornell Gorka, former senior fellow of the World Policy Institute, New York, who has been working on numerous aspects of democratic transition in Central and Eastern Europe since 1990. Since the momentous events of 1989-90 that brought an end to the Cold War and global bipolarity, experts have been attempting to classify and define the new international security environment. The terrorist attacks of September 11th of 2001 brought added urgency and at the same time complicated the debate on what exactly security now means. This project will bring together the most forwarding thinking specialists to discuss and draw policy recommendations identifying the nature of the new threats and how to address them, especially from the point of view of Central Europe, in the light of its ongoing military reform and newly acquired membership in western institutions.